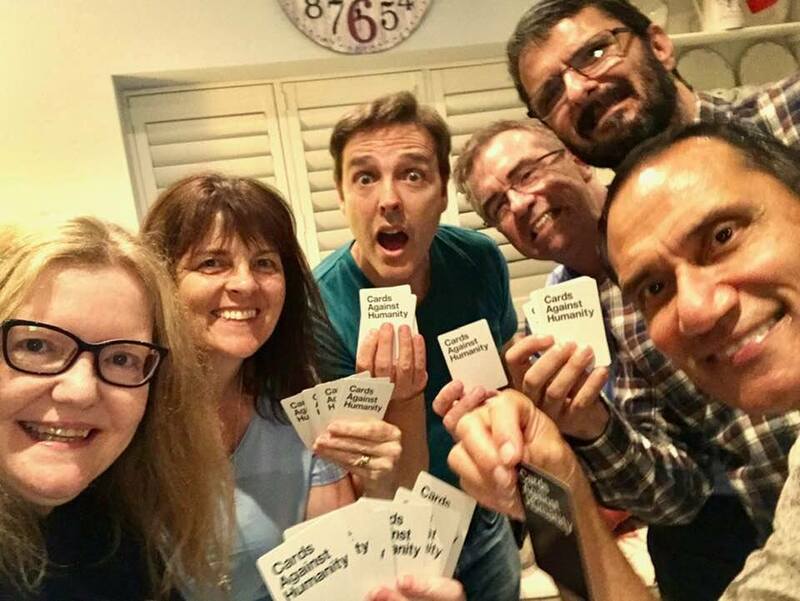 Six of us went round to David’s for a fun games night — Scrabble, the TV Week Trivia board game and Cards Against Humanity. Was totally shocked at the unbridled cheating from some gameplayers, with pieces and cards being swapped when noone was looking. 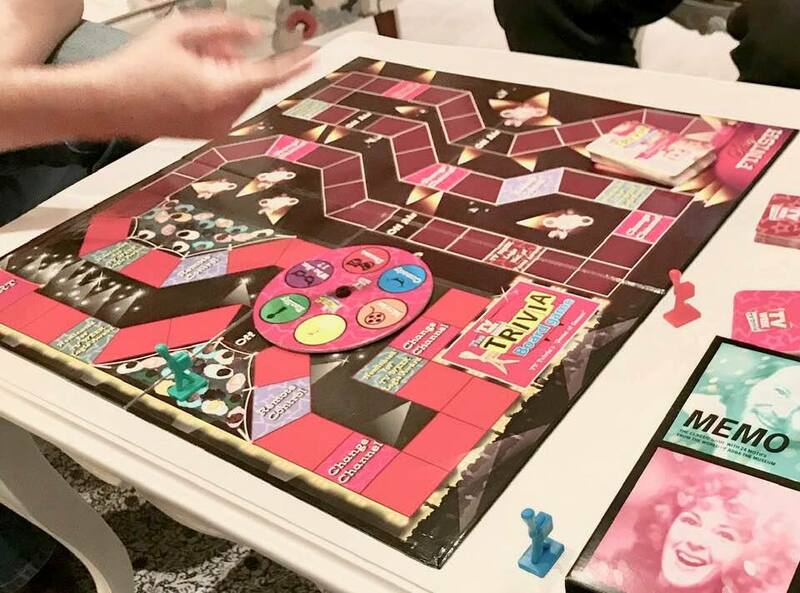 The TV Week Trivia board game was incredible — it had been sealed intact since 2005, so this was the first time it was opened. The drawback was that many of the questions were very dated, but we still managed to guess a Who Am I? (Kylie Minogue) and several Gold Logie winners from back in the day. A highlight was the six Logie-shaped playing pieces! Are “ne” and “lum” even words? Apparently so, says Scrabble online dictionary. Scrabble was ferociously contested, with constant requests to check which 2-letter words were acceptable. 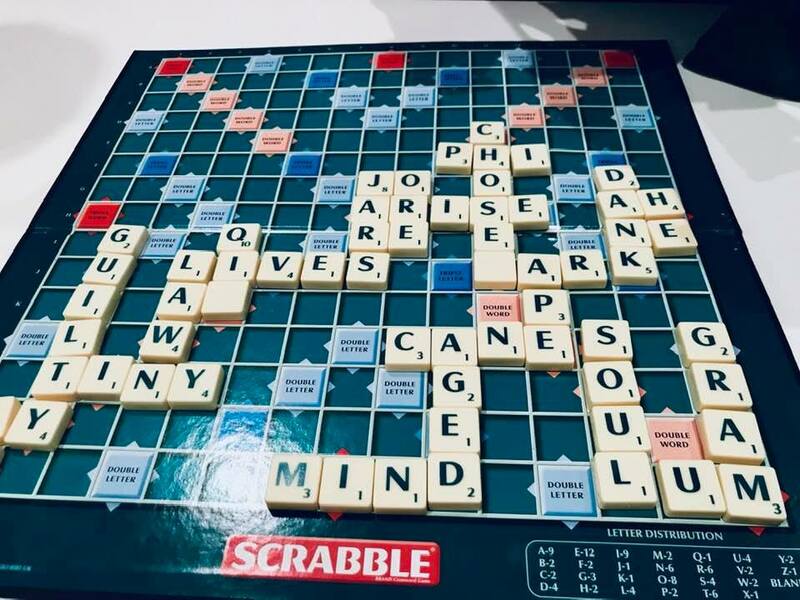 There were begging pleas to “open up the board” as some players strategically didn’t want to easily give away a triple word score. L made several heroic efforts to get rid of her letter “Q”. We even fitted in a couple of rounds of “Double Charades”, which was the most difficult game ever (eg. mime “politely washing dishes” and “wearily braiding hair”). Despite the presence of 3 Ashfield Musical Society alumni, and the mother of 2 musical society stars, it was a drama graduate who easily mimed anything totally improv. We were floor wiped with. Then D demonstrated the elaborate technique whereby he neatly overlaps hundreds of dog pee pads all around his flat, as his elderly dog Sammy is going all over his lovely French provincial rugs, However, sneaky Sammy separates where the pads overlap to deliberately make sure he ends up messing up the floor. Merde!